Providing Last Date of Attendance or Participation (LDAP) just got easier. Beginning the fall semester of 2014, new Tiger Central functionality coupled with enhanced daily Instructor Status Reports will replace the cumbersome back and forth LDAP email process. Below is a brief explanation of the LDAP process that should serve as a basic training resource for faculty. A 9 minute training video presentation is available at https://www.youtube.com/watch?v=qf20d5BtEOU. Aid eligibility, even after aid is already disbursed, isn't earned until a student attends or participates. Failure of students to attend or participate or failure of the institution to document attendance or participation results in significant institutional financial liability. How do I determine LDAP? Regulation, however, specifically excludes activities related solely to logging into computer-assisted instruction services such as Blackboard. How do I report LDAP? 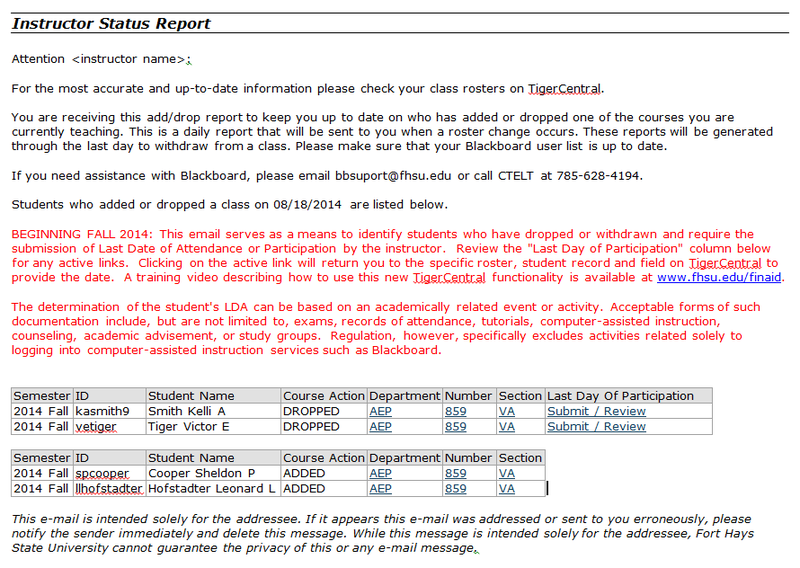 LDAP is now reported as part of the university's established Drop/Withdrawal process on Tiger Central. Notification of drops or withdrawals without an LDAP has been added to the Instructor Status Report (see screen shot below).  Only those students with a missing LDAP will display an active link in the "Last Day of Participation" column. When clicking on the active link, the instructor will be taken directly to the class roster, individual student and date fields to include the LDAP. Rather than returning to the Instructor Status Report for the direct link to enter data for other students listed, any other students for a particular course will be highlighted for action on the roster. If there are students on other class rosters that require an LDAP date, an auto filter location on the "LDA Entry" tab can be used to display just those students in any course or courses per instructor. This tab is very helpful to those that may not have retained the past Instructor Status Report for previous days. The need to report a date can be determined by logging into Tiger Central and clicking on the LDA Entry tab. When do I report LDAP? LDAP should be reported as soon as possible after receiving the email notification that the course has been withdrawn/dropped. FHSU has a very short timeframe to return payments to the federal Pell grant program if a Pell grant repayment is required. Your timely response will help FHSU stay in compliance with federal regulations.